Below are four patterns in a sequence, 1 through 4. 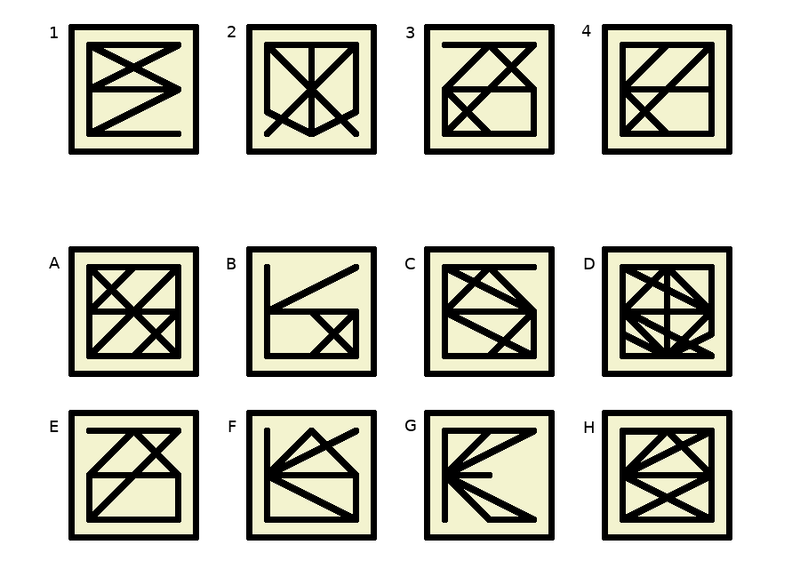 Which of the patterns A through H would be number 5 in that sequence? that squiggly one, next to the one with the zigzag. I mean pattern F.